At this stage of the game, the major studios have revealed which projects they are bringing to San Diego Comic-Con. And the list of anticipated titles was almost as significant as the movies we didn’t see on the roster of programmed panels. Of course, Comic-Con is a time of geeky surprises, when a panel concludes with, "Oh wait, do we have time for one more piece of footage?" And it’s in those moments where we tend to find some passionate magic. James Wan’s first Fast & Furious film has been plagued by terrible obstacles – the death of leading man Paul Walker being the largest – but production on the highly-anticipated sequel recently wrapped, and the year-long countdown for the unveiling of this latest Fast film is underway. Everything about the Fast & Furious 7 mood seems to be a celebration of the legacy of what the series has accomplished. It sounds like it is going to be a send off to Walker, and a pat on the back for the crew who fought hard to honor his contributions. Universal does not have a panel planned for Hall H, though they are partnered with Legendary Pictures, who will hold court in the massive auditorium on Saturday. Right now, they are debuting Crimson Peak and As Above, So Below. Could a Fast 7 footage reel tag the end of that panel? 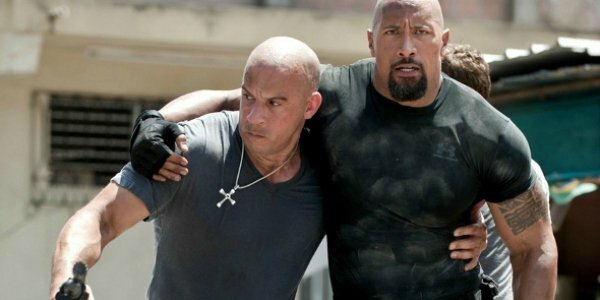 From what I hear, Vin Diesel and Dwayne "The Rock" Johnson could be in San Diego supporting different projects. A Fast 7 surprise would blow the roof off of Hall H.
The absence of Universal Studios, proper, from the San Diego Comic-Con schedule also means an absence of guaranteed footage from Colin Trevorrow’s Jurassic World -- which really surprised me. The sequel, which has been years in the making, has been busy filming in Hawaii and Louisiana. More important, the Jurassic World set has been prone to numerous leaks, making it hard for producers to keep significant plot details (like these) off of the very curious Internet. I thought that Universal would take a proactive approach, bringing Jurassic World directly to the fans in San Diego. The fact that Universal doesn’t have a block of time to themselves makes me think this is a longshot. But it’s also possible Jurassic World concludes that Legendary panel in place of Fast & Furious 7. 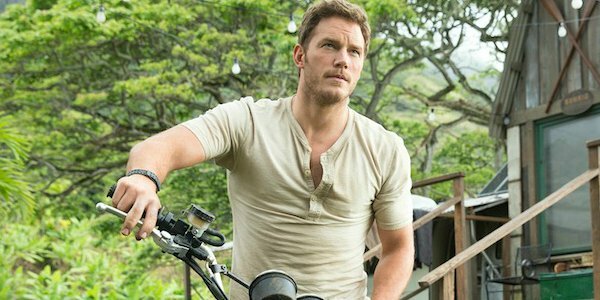 At the very least, I expect there to be signage and marketing materials for Jurassic World all over Comic-Con, so fans can learn when it’s coming. Comic-Con, in years past, has looked beyond traditional comic-based and geek-friendly franchises. Some would argue that the convention officially jumped the shark when it played to the masses by staging a Twilight panel in Hall H. Fifty Shades of Grey would fall into that category. It isn’t a movie that folks are going to line up outside of Hall H for. But it certainly could benefit from the waves of positive press that could emerge out of San Diego if a sizzle reel were to screen at the convention. We already know that a trailer for the steamy adaptation is due to hit at the end of this month. (July 24, to be exact.) Could the film build on that momentum with a footage reel at Comic-Con? Absolutely. 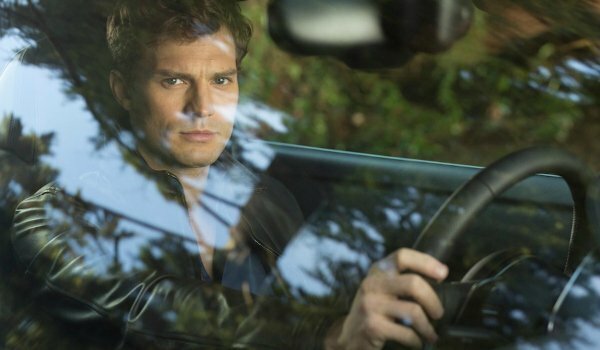 Fifty Shades of Grey will be distributed by Focus Features, which has a panel planned for Saturday, but they are showcasing the family adventure The Boxtrolls. That would be an odd pairing, but a potentially explosive one. Keep your eye on Paramount Pictures on Thursday. 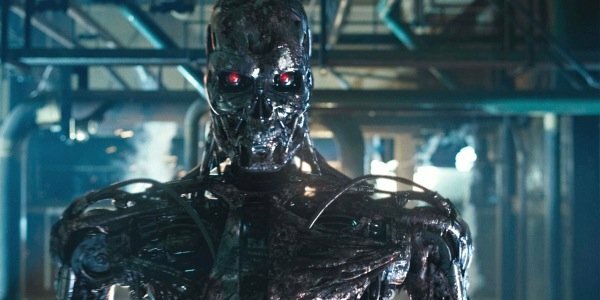 The studio has teased three movies coming to San Diego Comic-Con, though there was no mention of Alan Taylor’s Terminator movie. That needs to change. There are so many questions swirling around this movie, which could be answered by a quick panel in Hall H. Is it a reboot? A direct sequel? When does it take place? Where? Why?! Arnold Schwarzenegger is no stranger to the Con, having appeared in support of The Expendables movies and Escape Plan. Seeing as how he’s returning to his most famous role for Alan Taylor’s film, wouldn’t you want to grab a few headlines with a Comic-Con presentation, and maybe some footage (from a sequel that has been filming in Louisiana for some time now)? Finally, a comic book property on a list of hopeful Comic-Con presentations! 20th Century Fox will hold court over Hall H on Friday, promising The Maze Runner, Let’s Be Cops, Agent 47: Hitman, The Book of Life and Kingsman: The Secret Service for Comic-Con crowds. 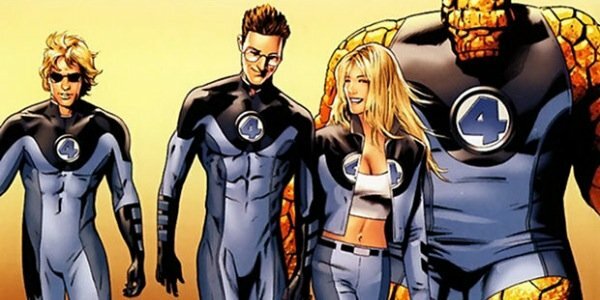 How could they not, though, bring something from Josh Trank’s in-production The Fantastic Four movie? Screenwriter Simon Kinberg will be in town for a different project. He could present some information on the new FF, answering some questions about the rumors that this will be found-footage, and different from the comic source material. Fox is gambling on this new Fantastic Four franchise, already greenlighting a sequel for 2017. Get the ball rolling now with a Fantastic Four surprise!